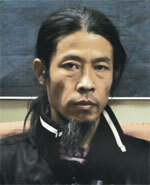 Thirty-five-year-old James (name changed) from Meghalaya was shattered when he was diagnosed with Hepatitis C in 2009. He got another shock when he found that the treatment, which lasts around one year, would cost over Rs 10,000 per week. Working as a counsellor with a non-profit for Rs 7,000 a month, the expense was beyond his reach. He is one of the millions of Hepatitis C patients in India. There are no government figures for the number of people suffering from the disease in India. As per World Health Organization (WHO) estimates, 12 million people in India may be infected with the Hepatitis C virus (HCV) and around 96,000 die from it annually. Also, a lot of people suffering from HIV are infected with HCV. According to I-MAK, a US-based non-profit, 13 per cent of the HIV patients across the world also have HCV. Homa Mansoor, a physician engaged in treating HCV patients under the care of Médecins Sans Frontières (MSF), an international non-profit working for the medically deprived, says the treatment of HCV is exorbitant. According to Loon Gangte of Delhi Network of Positive People, a non-profit working for the rights of HIV positive people, the cost of the entire treatment is Rs 4 lakh to Rs 5 lakh. Gangte says that it is not possible for a common man to bear the cost without assistance from the government. A year ago, Gangte and a few other activists met Planning Commission member Sayeda Hameed to raise the issue. Gangte says that she assured the matter would be discussed with health department officials but nothing has happened so far. There are no Central government schemes to deal with HCV, but a few states in the Northeast have launched some initiatives. The number of HCV-infected people in the Northeast is higher than in the rest of the country, according to a study by Ashis Mukhopadhya, a Kolkata-based physician. His paper refers to a previous study done in 2001 which found the incidence of HCV in Arunachal Pradesh to be 7.89 per cent. Mukhopadhya’s study was published in the Journal of Bioscience in 2008. Screening Hepatitis C is a problem, says Homa Mansoor, physician working with Médecins Sans Frontières, an international non-profit. There are no proper diagnostic facilities available. Even when a patient has been diagnosed, the disease is not taken seriously as there are no instant threatening symptoms, she says. The Hepatitis C virus (HCV) does not kill immediately. Sometimes, problems may start surfacing 20 years after the infection, in the form of liver cirrhosis or liver cancer, she informs. HCV is more dangerous than HIV because of its longevity. “The mode of transmission of HCV is similar to that of HIV. It is dangerous because an infected person does not even know about it. So, the patient continues with his life and might infect others,” Mansoor says. If the patient is screened early, the efficacy of the treatment will be better. Currently, diagnostic facilities for HCV are available only for those who are also infected with HIV. How can one expect a patient to go to a health centre saying that he or she has had such a history, Mansoor asks. Also, management of side-effects such as anaemia, low neutrophil count and psychiatric disorders is needed. Weekly medical consultation is required to check if the body is able to cope with the treatment. In June 2013, the Meghalaya government assured treatment to HIV and HCV co-infected people. At that time there were only seven HIV-HCV co-infected patients registered under the government’s anti-retroviral treatment scheme for HIV positive people. The government decided to finance the treatment of two out of these seven in the first phase and purchased drugs for a three-month course. The most common treatment for HCV includes one injection of peg-IFN-alpha (interferon) every week and daily oral dose of ribavirin. The state government bought the drugs from India-based pharma company Zydus Cadila Healthcare Ltd at the rate of Rs 9,200 per vial for the two patients. Hepatitis C Coalition of Meghalaya (Hep.Com), a group of people fighting for the rights of HCV patients in the state, tried to negotiate with Zydus on the price and managed to get it reduced to Rs 5,200 per vial. Zydus offered to provide diagnostic support as well. Hep.Com also wrote to the state government on January 3, 2014, saying the three-month medication to the selected patients would do more harm than good because if there is a more than two-day break in medication the entire course goes waste and there is a chance of the patients developing resistance to the drugs. The high cost of the drug seems to be the reason behind the government’s apathy. Talking to Down To Earth, E Dkhar, director of health services, Meghalaya, denies having information on the government’s decision to provide treatment to co-infected people. But as per the minutes of a health department meeting held on June 28, 2013, which are in possession of Down To Earth, the government has decided to provide treatment to co-infected people. 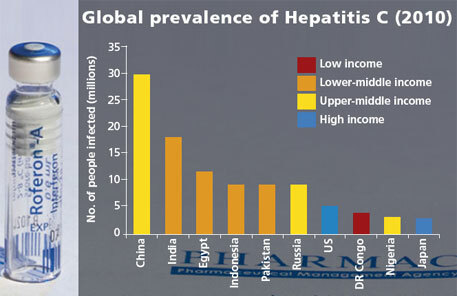 There are no official figures for the incidence of Hepatitis C virus (HCV) in India. I-MAK, a US-based non-profit working towards reforming the patent system and increasing access to affordable medicines, says India is home to 2.1 million people infected with HIV, and if one applies the HIV-HCV global co-infection rate of 13 per cent, 273,000 Indians could be infected with HCV. In the 64th annual meeting of American Association for the Study of Liver Disease, held on November 2013, researchers from the UK and South Africa claimed that India has 17 million Hepatitis C patients. Researches have also been conducted at various levels in India and show that the disease has a pan-India presence. An article published in the Indian Journal of Medical Microbiology in July 2013 found that the prevalence of the disease in Haldwani district of Uttarakhand was 0.64 per cent. A paper published by Ashis Mukhopadhya in the Journal of Bioscience in 2008 notes that India has a North-South divide with regard to the virus type. While genotype 3 is predominant in North, East and West India, genotype 1 is common in the South. All genotypes have similar health effects but their treatments and durations vary. Globally, the World Health Organization estimates that over 170 million people are chronic carriers of HCV and are likely to develop liver cancer and/or cirrhosis. Recently, US-based pharma company Gilead Sciences Inc registered a medicine named sofosbuvir with United States Food and Drug Administration. It is an oral drug and, hence, easy to administer. But the medicine is exceptionally expensive, costing $84,000 (over Rs 152 lakh) for the complete course. The only way to bring down the price would be to produce generic versions of the drug, like what was done with HIV drugs in India. Currently, the drug is patented but I-MAK has filed a petition in India on November 21, 2013, opposing the patent. I-MAK says that sofosbuvir does not merit patenting under the country’s patents Act. Lawyer and director of I-MAK, Tahir Amin, in a media statement said, “India’s patent law doesn’t give monopolies for old science or for compounds that are already in the public domain. We believe this patent on sofosbuvir does not deserve to be granted in India and have the legal grounds to prove it.” It should be noted that the cost of manufacturing sofosbuvir is quite low. Andrew Hill, a pharmacologist at Liverpool University has published a study showing that sofosbuvir could be produced for as little as $62-$134 for a 12-week course. Hep.Com says it can negotiate with Zydus to help in getting the prices of interferon and ribavirin lowered even further, and adds that apart from Meghalaya, states like Nagaland and Mizoram have taken similar initiatives in making deals with pharma companies. Leena Menghaney, coordinator for MSF’S Access Campaign in India, says there are a number of drug manufacturers engaged in making generic versions or biosimilar drugs for HCV and the government should make use of the opportunity. She says there should be no procedural delay in registering new drugs. Companies like Gilead will try to monopolise but there are mechanism to reduce prices of expensive drugs. Replying to a query on how to bring down prices of expensive drugs, Menghaney said that compulsory licensing (allowing companies to make generic versions of expensive drugs) has worked in India, like in the case of kidney and liver cancer drug sorafenib tosylate last year. Food and Drug Administration (FDA) recently approved two new drugs for Hepatitis C; Olysio (Simeprevir) and Solvadi (Sofosbuvir). The cost of a 12-week course of Olysio is around $66,000 while Solvadi will be around $84,000. The drug companies will have a lot of interest in pushing these two drugs. Interestingly, why this virus avoids the low income people? Interferon alpha-2A (Referon A) shown with the graph is a protein produced by the body in response to infection and helps the immune system fight disease and may slow or stop the growth of cancer cells (WebMD). If that is the case, why donÃ”Ã‡Ã–t we do something to stimulate our immune system naturally such as using plant based foods?